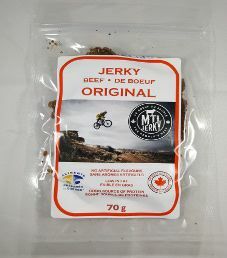 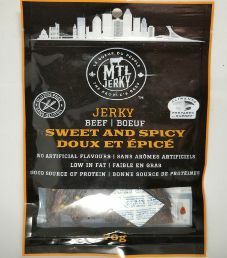 Note: For a more current taste review on a tweaked bag design, open up MTL Jerky – Original Beef Jerky (Recipe #2). 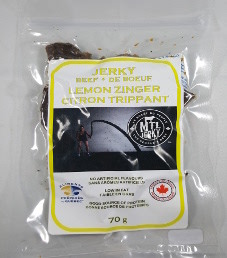 The next review for MTL Jerky will focus on a 2.5 ounce/70 gram bag of their Citron Trippant (Lemon Zinger) flavored beef jerky. 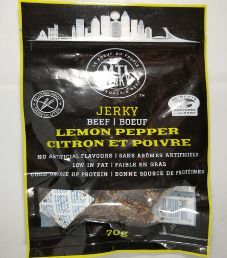 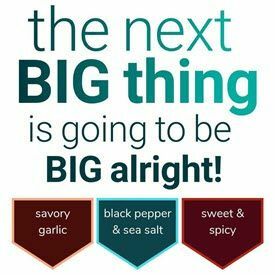 This flavor is described as combining the sour taste of freshly squeezed lemons, the citrusy punch of fresh lemon zest, and the heat of freshly ground black peppers. 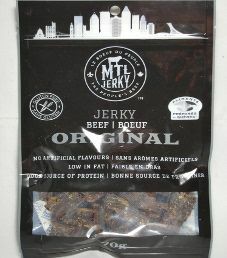 The jerky was graciously submitted for review by the owner, Alexander Halasz.